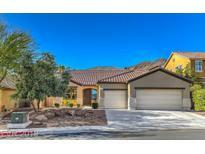 Below you can view all the homes for sale in the Horizon Estates subdivision located in Henderson Nevada. 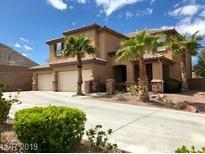 Listings in Horizon Estates are updated daily from data we receive from the Las Vegas multiple listing service. To learn more about any of these homes or to receive custom notifications when a new property is listed for sale in Horizon Estates, give us a call at 702-323-5903. *rare Single Story In Gated Horizon Estates*stunning Low Maintenance Landscape*cathedral Ceilings Upon Entry Into Living Room & Dining Room Entertaining Area With Built-in Bar*separate Family Room W/Fireplace*fabulous Kitchen Has Stainless Steel Appliances/Dbl Oven/Huge Dining Area/Island*great Floor Plan With Spacious Bdrms/Office*fantastic Mstr W/Wlk-in Closet/Access To Bckyrd/Jacuzzi Tub*this Won'T Last! MLS#2090346. Resolution Realty. So quiet & 2 many extras to list. MLS#2089697. Win Win Real Estate. SEE PHOTOS & FEATURES! Gold energy pkg. too! MLS#2087776. Innovative Real Estate Strateg. Easy access to freeway and shopping. MLS#2084448. Realty ONE Group, Inc.
All in walking distance to Paradise Pointe Park and an under 5-minute drive to both the Elementary and Middle Schools, Shopping, Dining, and Freeways. MLS#2080107. THE Brokerage A RE Firm. Don'T Miss Out On This One! ! MLS#2074335. Realty ONE Group, Inc. Private Beautifully Landscaped Backyard For Entertaining, Built In Bbq, Raised Patio For City And Valley Views For The Perfect Sunrise Or Sunset. MLS#2073636. Realty ONE Group, Inc.
Like new home you won't want to miss! MLS#2069665. RX Realty. Second bedroom also has walk-in closet low maint back yard with pavers covered patio MLS#2066405. Windermere Anthem Hills. Mountain and city views from the upstairs master balcony. MLS#2064961. Vegas Dream Homes Inc.
New home community, Breathtaking Views of Strip, Vegas and Mountains, Balcony off MBR, Former model home full of upgrades, Granite and Stainless kitchen, custom window treatments, wired for surround sound and outdoor entertainment system, custom landscaping, SOLAR SYSTEM rented at $70/mo (owner est electricity savings @100/mo), 1 BR down with adjacent full bath, home automation system, R/O system. MLS#2063837. THE Brokerage A RE Firm. A community pool and pocket parks are part of the Horizon Estates HOA. MLS#2054693. Opendoor Brokerage LLC.